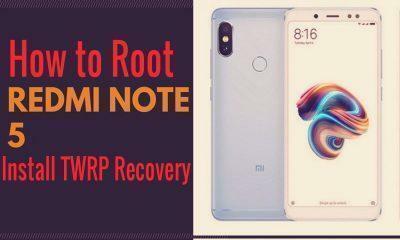 Xiaomi, at last, unveiled it’s highly awaited Redmi Note 5 along with a new variant which is the Redmi Note 5 Pro, a fresh new premium offering in the Redmi series. The Redmi Note 5 now have 4 total options on offering catering various price brackets starting from ₹9,999/- INR ($158 US) going all the way up to ₹ 16,999/- INR. Now let’s take an in-depth look at what Xiaomi has delivered new to the table with today’s launches. 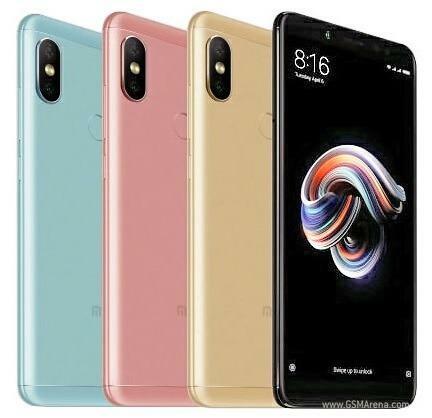 Starting with Redmi Note 5 the standard variant follows the legacy of its predecessor, by keeping the prices pocket-friendly and offering the highest value for money ratio for its users. Xiaomi Redmi Note 5 is powered by the same Qualcomm Snapdragon 625 Octa-Core chip which is now a two-year-old processor, which has proven to provide the best efficiency in the mobile industry. Paired with 3GB RAM and 32GB storage options for the base variant, and a 4GB RAM & 64GB as the top variant for the Redmi Note 5, with Hybrid Sim-Slot. Coming towards the front, you get the trendy 18:9 aspect ratio display, which measures 5.9-inches and carry’s a Full-HD+ resolution, with an impressive 450-nits of brightness as well as 84% NTSC color gamut accuracy. It has curved at the edges as expected from an edge-to-edge design with 2.5D curved glass(Display protection not mentioned yet). 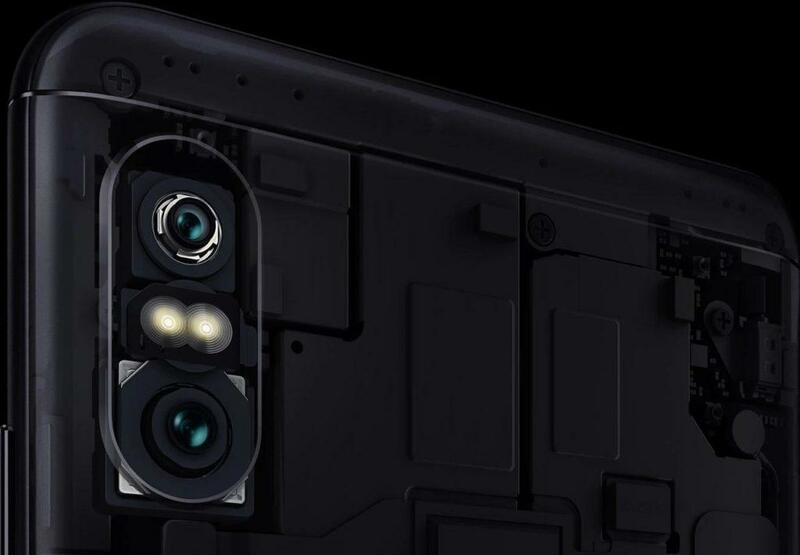 The front now houses an LED flash for the 5-megapixel selfie snapper accompanied with Beautification 3.0 software baked in. 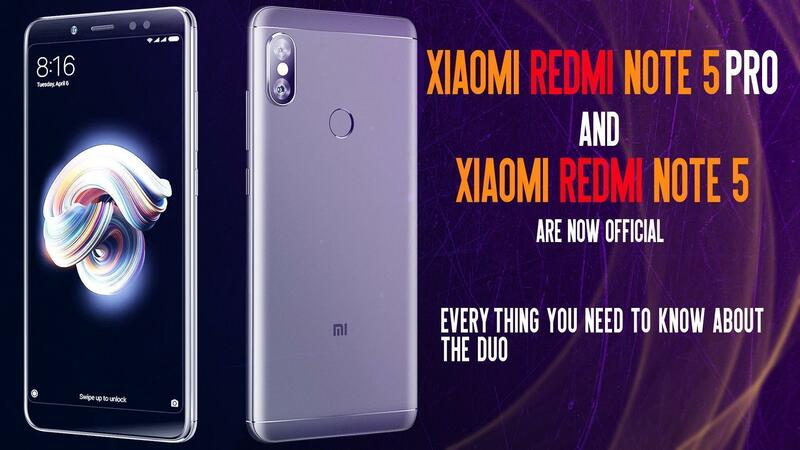 On the rear, we get the typical Xiaomi design which is quite similar to the Redmi Note 4, with a single 12-megapixel shooter sporting a f/2.2 aperture with a small pixel size of 1.25 micron. Along with that, the Redmi Note 5 now, fortunately, houses EIS for video recording, and you can record up to 4K UHD videos, but EIS isn’t available for 4K recording yet. Keeping the lights on is a massive 4000mAh battery along with fast charging support out of the box, which will last for one full day of usage as we saw on the Redmi Note 4. 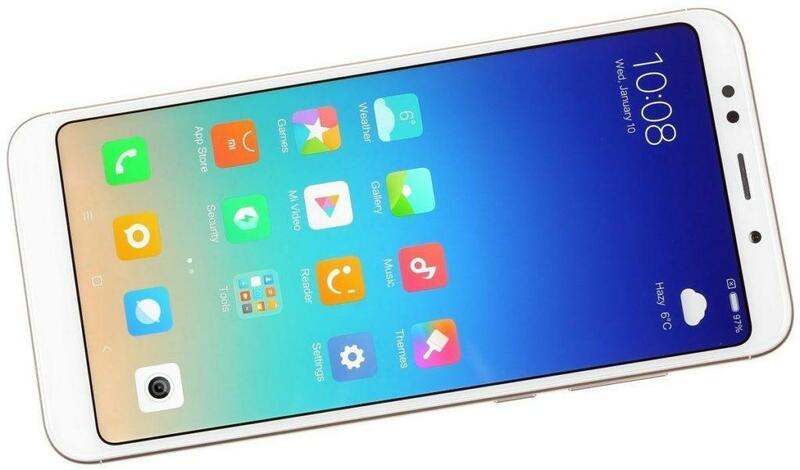 Xiaomi is still sticking with micro-USB, and we still don’t get USB-Type C port. Sadly, the Redmi Note 5 still runs on Android Nougat 7.0 on MIUI 9. Hopefully, an Android Oreo update is planned soon. Retails up to ₹11,999/- ($188 US)for the 4GB/64GB variant. The device will be an online exclusive for a short duration, until it hit the stores and is also exclusively available on Flipkart from February 22, and also the device will be available on Mi Home and Mi.com. Xiaomi in partnership with Reliance Jio is offering a cashback of ₹ Rs. 2,200 along with 100% extra data when you buy both the standard and for the Pro variant. With an iPhone, style design comes the Star of the show, the Redmi Note 5 PRO, which is a new variant introduced by Xiaomi for the first time in Redmi Line-up in India. 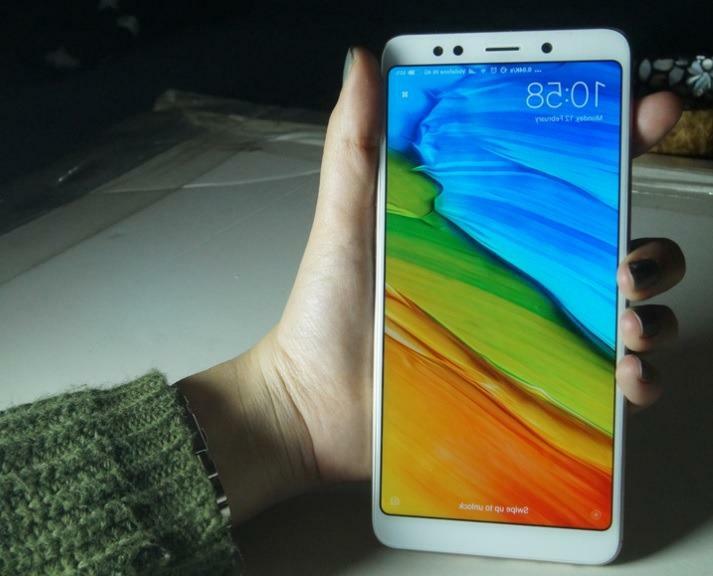 Xiaomi with the pro series follows a new design language which is quite similar to the iPhone X at least on the rear. Under the hood, the Redmi Note 5 Pro sports a powerful Snapdragon 636 chip, which is it’s first Global debut; the processor is paired with the Adreno 509 GPU, based on Qualcomm’s Custom Kyro 260 cores, clocked at 1.8GHz. The SD 636 has 40% higher performance when compared to an SD 630. The Xiaomi Redmi Note 5 Pro is the most powerful Redmi, as the device scores an impressive 107,899 on Antutu benchmark. So upper-mid range Android phones need to start worrying about this now. Not only Xiaomi introduced a premium Pro variant, but now you also get a new 6GB LPDDR4X RAM variant which is the top-shelf offering from the Chinese OEM. Along with the 4GB RAM variant also lives and both of them comes with 64GB of internal storage, which features fast eMMC 5.1 storage. The display on the front is similar to its younger sibling from specs to it’s taller 18:9 ratio. In the camera department, as bearing the Pro moniker, the device sports Dual-Camera’s with the placement similar to that of the iPhone X. The primary 12 MP Sony IMX 486 premiere sensor with a f/2.2 aperture, at a pixel size of 1.25 micron while the secondary rear camera sensor is a Samsung made 5 MP measuring at f/2.0 aperture with an even smaller pixel size of 1.12 micron, with built-in EIS. With the joint strike of both sensors working together, Xiaomi promises authentic Bokeh shots, that’s the device will excel in Portrait shots, similar to its Android One cousin. The front camera is where Xiaomi truly provided a significant upgrade over, now a large 20 MP Sony IMX376 sensor(with LED Flash) taking care of your selfies, and cherry on top is the front facing LED Flash; beating Oppo and Vivo at their own game. 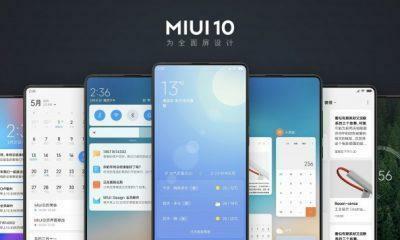 However, the Redmi Note 5 Pro weirdly lacks the ability the shoot in 4K UHD, this may be due to the slim profile of the device which could easily dissipate the heating from the Snapdragon 636, to the surface, making it quite hot to hold, sure this just a guess and we should wait for the final reviews to further, comment upon this case. Battery capacity of the Xiaomi Redmi Note 5 Pro is similar to its younger sibling, that is 4000mAh, with quick charge support. Goes up to ₹16,999 INR ($265 US) for the 6GB/64GB top of the line option.